The SSPA Instructor Licensure Course is designed to provide future educators with the basic teaching skills needed to become licensed for entry level employment as an instructor in the field of cosmetology (Cosmetologist, Esthetician, Nail Technician and nail technician). 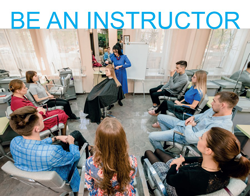 This course is approved and fulfills the 38-hour instructor course requirements needed to be eligible to take the Minnesota Board of Cosmetologist instructor examination. When you complete our course you will enter the classroom ready and confident to teach. This course is more than text book study. Includes Milady Master Educator 3rd Edition textbook. 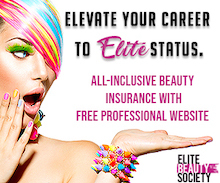 and a one year membership in the Salon & Spa Professional Association (non-members only) to get you on track with your continuing education. $835 (includes Milady Master Educator 3rd Edition and MN Cosmetology Laws and Rules Books and a one year SSPA membership - $285 value). Current SSPA members receive a $25 discount. Register online below for the session of your choice or Download the enrollment application. For details and to register please call 952.925.9731. Payment options: Pay in full with registration or pay half with your registration and the balance paid 20 days before class. No exceptions. All payment MUST be made by credit card, money order/cashiers check or cash. Checks will not be accepted. *SSPA reserves the right to cancel course or move registrants to another scheduled Minnesota instructor Licensure course if enrollment is insufficient. PLEASE NOTE: Enrolees must have at least 2,700 hours of experience as a licensed cosmetologist, nail technician or esthetician in a licensed salon, supervised by a licensed manager, within the three years prior to this application.